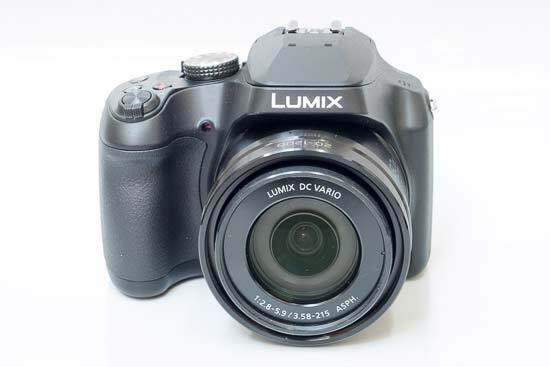 The Panasonic LUMIX DC-FZ82 (also known as the Panasonic Lumix DC-FZ80) is a super-zoom bridge camera featuring a 60x zoom lens equivalent to a focal range of 20-1200mm, 18.1-megapixel High Sensitivity MOS sensor, 3-inch 1040K-pixel LCD touchscreen, 1,170k Live View Finder (LVF), 4K (3840 x 2160pixel) video recording at 30/25/24fps including the ability to extract 8 megapixel images from the 4K video, ISO range of 80-6400, burst shooting at 10 fps (AFS) / 6 fps (AFC), 1cm macro shooting with Post Focus and Post Focus Stacking functions, a flash hot shoe and integrated Wi-Fi connectivity. 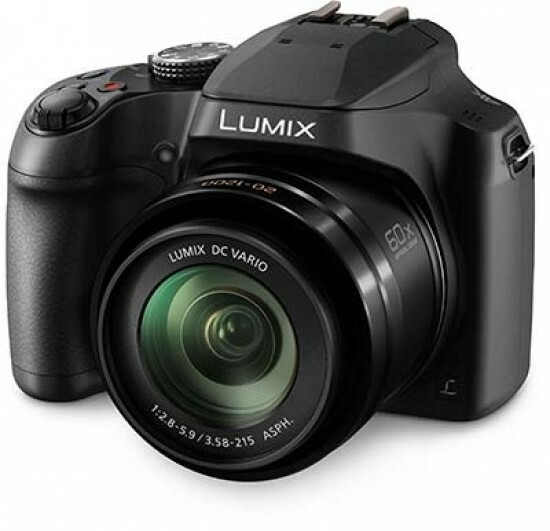 The Panasonic Lumix DC-FZ82 is available in black and retails for £329.99 / $399.99. 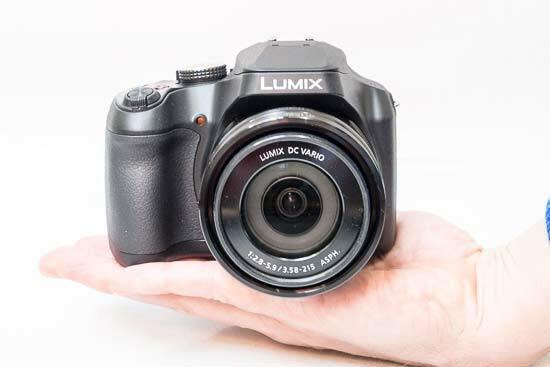 The Panasonic DC-FZ82 has a 18.1-megapixel High Sensitivity MOS Sensor, plus a 60x zoom lens which provides an incredible focal length the equivalent of an ultra wide angle 20-1200mm in 35mm terms. It features hybrid POWER O.I.S. (Optical Image Stabilizer) with Active Mode to help prevent image blur from camera shake. The MOS sensor greatly increases the camera's burst shooting options, with a fastest setting of 10fps with both focus and exposure fixed at the first frame, or 6fps with continuous auto-focusing. Other notable features include a decent 1,170k dot EVF and a 3-inch LCD touchscreen. 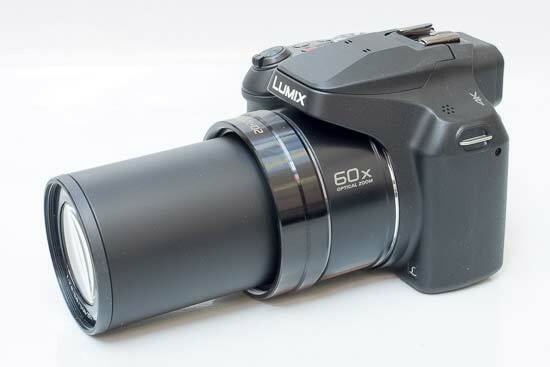 That astonishingly long lens reach, the prominent electronic viewfinder, and a decent sized handgrip have all resulted in a slightly chunky camera, measuirng 130.2 x 94.3 x 119.2 mm and weighing 616g with the battery and memory card fitted. Still, while the overall size might dissuade some, others will be glad to at least feel they’re getting their money’s worth, and it's not too big and heavy considering the focal length on offer. It’s also worth mentioning the lens’ fast maximum f/2.8 aperture, which runs to up to a still respectable f/5.9 at extreme telephoto. The Panasonic FZ82 certainly looks like it means business, llooking very much like a DSLR from a distance, and , it handles a lot like one too. The large-ish, bright and clear electronic viewfinder with a prominent eye relief means that we just about get away with avoiding our nose smearing up against the main monitor screen, though the larger screen is what we most naturally found ourselves using when setting up or reviewing shots. To help hold the Panasonic FZ82 nice and steady at the 1200mm maximum zoom, there's a comfortably moulded handgrip around which we were able to wrap three fingers, leaving our forefinger to hover expectantly over the shutter release button. The latter sits atop the handgrip, tilting forward at an ergonomic angle, encircled by a zoom lever. The FZ82’s zoom lens is controlled via a regular zoom lever surrounding the shutter release button, as on any point and shoot compact, but sadly there's no zoom ring on the lens barrel, as seen on the more expensive FZ1000 model. Situated just behind this are three further buttons on the top plate. To the left we find a dedicated video button and on the left the first function button, marked 'Fn1', which by default accesses the comprehensive 4K photo settings, and then the second function button, marked 'Fn2', which accesses the Post Focus feature. Post Focus is a new function that enables users to select the in-focus area after shooting simply by touching it on the LCD screen. The new Post Focus Stacking function enables users to take multiple images of the same frame with different areas in focus, then combine all or selected focus areas into one image. Drill into the menu screens and it’s possible to manually attribute a wide variety of functions to such buttons, of which there are no less than 8 in total. In fact, on this model there are 12 screens’ worth of user-attributable options, with four options presented on each, so the customization of said controls certainly feels almost limitless. The other notable control nestling nearby on the top plate is for the camera’s shooting modes, of which 10 are offered – including the usual fully automatic, manual and custom settings – with the dial ergonomically encircled by the on/off switch. Give this a flick with the thumb, and, as soon as said thumb comes to rest, the camera is powered up, which is as quick as anyone could hope for. This responsiveness extends to the use of the lens, which travels through its optical zoom range from wide-angle to maximum telephoto setting in 5-6 seconds when in the stills shooting mode. On the FZ82 the selectable shooting modes include the expected intelligent Auto setting and palette-like icon indicating creative controls. The Panasonic has eight screens’ worth of digital effects on board selectable in this mode. The next shooting option discovered with a further turn of the mode dial is the scene settings, of which there are 25 here, and finally, a panorama option. Moving around the shooting mode wheel we find a Custom setting, followed by a dedicated mode for video. There's the choice of 30 or 25 frames per second capture speed in QFHD 4K quality (3840x2160 pixels) in the MP4 format. Bit rate is an impressive 100Mbps, there is a 15 minute time limit on the recording duration, and high speed video options include 240 fps 640 x 480 and 120 fps 1280 x 720. You can also extract a still image from a 4K sequence via the dedicated 4K button on the top of the camera, ending up with the equivalent of an 8 megapixel photo at 30fps. The Panasonic Lumix DC-FZ82 provides access to the same creative exposure P,A,S,M modes that are selectable when shooting stills. You also get access to all the Photo Style and Creative Control modes when shooting video, plus the ISO settings, white balance and AF tracking, while the normal bugbear of exterior location shoots is also dealt with thanks to a wind cut option. Happily, the full extent of the smooth and steady optical zoom can be accessed when shooting video, its mechanical operation quiet and minimally intrusive. The Panasonic Lumix DC-FZ82 has a time lapse function in which you can set the time interval and the number of images to take, plus a multi-exposure option that lets you combine up to four exposures in a single frame, while the Stop Motion Animation mode allows you to create unique stop motion videos. The FZ82 has wi-fi connectivity built-in, but not NFC or GPS. You can use your smartphone to change the camera settings (focus setting, exposure compensation, ISO, WB and Photo Styles) and even fire the shutter button remotely (including interval video recordings), while the auto transfer function automatically backs up your photos onto a tablet. You can also use GPS data from your smartphone to record the shooting location onto your images. The ‘hump’ in the middle of the top plate houses the electronic viewfinder, flash hotshoe, stereo microphone and pop-up flash, with holes for the speaker over on the left. Moving our attention to the backplate, this is dominated not only by the LCD screen, but also by the aforementioned EVF that juts out above it. The Panasonic FZ82's LCD screen is commendably touch sensitive. All of the menu options can be changed via the touchscreen interface, and you can also control image playback, with the ability to tap a thumbnail to see the full-size version, scroll through your images by dragging them from side to side, and magnifying them up to 16x. 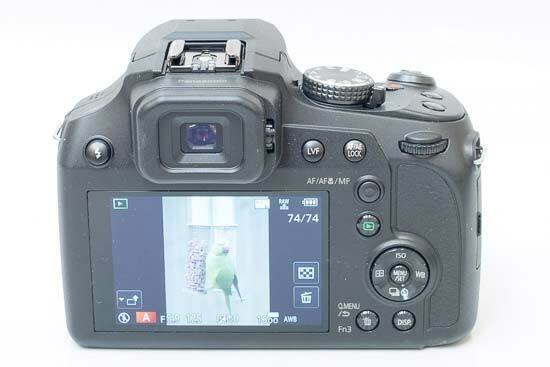 The most immediately noticeable function is the ability to use the 1-area AF mode to focus on your main subject simply by touching it on the LCD. If the subject then moves, the DC-FZ82 cleverly follows it around the screen using the the AF tracking function. If the subject exits the frame entirely, simply recompose and tap it again to start focusing. Impressive stuff that makes focusing on off-center subjects fast and intuitive. It is a little too easy to accidentally press the screen and set the focus point to the wrong area for the current subject, but a simple tap in the middle of the LCD will center the AF point (or you can turn this feature off altogether). If Multi-area AF rather than 1-area AF is enabled, then you can select a group of 6 AF points from 9 different areas, again providing some manual control over what is traditionally a rather hit and miss affair. If Face Detection is enabled, the 1-area AF point can be manually set to a person's eye to help ensure that the most important part of a portrait is in focus. One other great benefit of the touch-screen control system is that Touch Auto Focusing is available in movie recording, enabling pro-level rack-like focusing simply by pointing at the subject on the LCD screen. When Intelligent Auto is switched on, the Panasonic FZ82 changes the scene mode used when you touch the subject, for example selecting portrait mode if you touch a face and macro mode if you touch a close-up flower. If you prefer to manually focus rather than use the snappy AF, you can magnify any part of the subject by 1x, 5x or 10x by simply dragging a yellow box around the screen. The final touchscreen ability from an image composition point of view is the ability to release the shutter, with a small icon on the left hand of the screen enabling this functionality, and then a single on-screen tap all that's required to take the picture. Focus Peaking graphically shows the peak of focus in the MF and AF+MF modes by displaying an outline around the subject. The detection level can be set to 'High' or ‘Low’ and a colour can be selected In ‘High’ these are light blue, yellow or green and in 'Low' blue, orange or white can be selected. Pinpoint AF mode is very useful for precisely focusing on a very small area, while, Manual Focus Assist automatically displays a 10x magnification to help you make sure that the subject is in focus in the MF mode. Sadly the Panasonic FZ82's eye-level electronic viewfinder doesn't have a built-in eye sensor immediately below, which on more expensive models automatically activates the LCD when it senses the proximity of an eyeball. Instead there's a LVF button to the right of the EVF, which toggles it on and off. The short sighted also get a dioptric adjustment wheel to the right of the EVF. To the left we find a button for raising the pop-up flash, which announces its presence with a reassuringly solid sounding ‘clunk’ when called into action. Attendant controls veer towards those of a DSLR – for example an auto focus/auto exposure lock button, and underneath that a button for choosing between the AF, AF Macro and MF focusing modes. Next we find a standard playback control, and underneath that the aforementioned four-way/directional control pad. Selectable here are ISO sensitivity settings, which include both auto and ‘intelligent’ ISO options, along with manually selectable staggered increments from ISO80 to ISO6400. Drive mode and AF mode implementation also happens via the same dial. The default setting of the ‘Fn3’ button in the shooting mode (which doubles up as a dedicated ‘Delete’ button in playback mode) provides access to the usual Panasonic ‘Quick Menu’ bar. Selectable from this are the Photo Style settings, which here range from the default ‘Standard’ setting to Vivid, Natural, Mono(chrome), Scenery, Portrait, and Custom options. A top-of-screen toolbar further provides access to flash modes, which include forced flash, forced flash with red eye reduction, slow sync and slow sync with red eye. Image size and picture quality can also be adjusted in this manner, along with, again, AF modes. Such options can either be tabbed through using the camera’s four-way control pad or a thumb spin of a DSLR-like control dial top right of the camera back. A press of the display button not only shows or hides on-screen options but also, with subsequent presses, brings up a level gauge – useful for photographers/ videographers shooting landscapes and cityscapes without the support of a tripod. The base of the FZ82 featuresa slightly off-centre screw thread for tripod attachment and a compartment housing the rechargeable battery, good for around a respectable 330 shots. The SD card is also inserted into the same compartment. On the right-hand side, HDMI and USB output ports are provided, the latter being the principal way of charging the camera's battery, although there are no ports for attaching an external microphone for sound recording or headphones for monitoring audio.